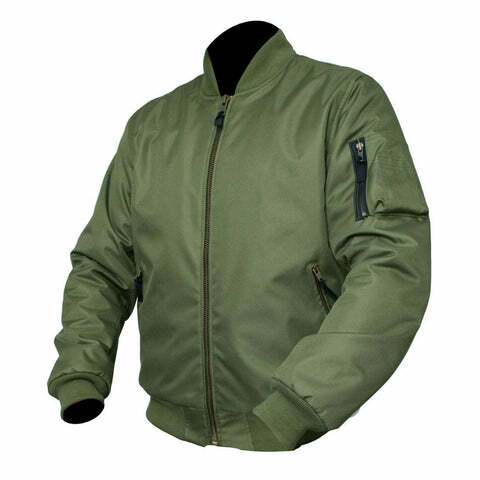 The range of Kevlar hoodies & jackets at LDMotorcycles.co.uk is always growing as we find more and more jackets that you can wear on and off the bike without making it obvious that you ride. Alongside our Kevlar clothing is a similar and equally protective Aramid option, which also provides great protection in a slide and increased durability. 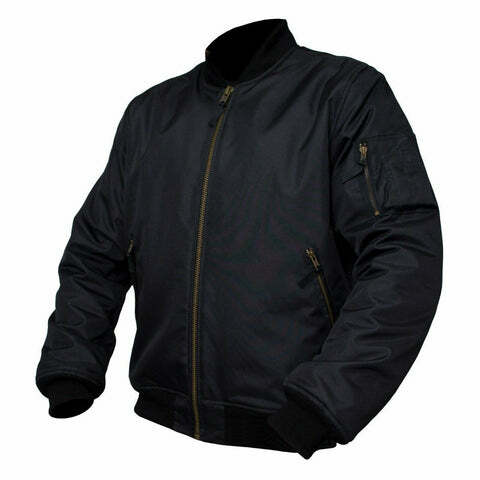 Kevlar & Aramid clothing is a popular choice for us riders nowadays as more and more well known clothing brands release their own casual clothing. But what is Kevlar & Aramid clothing and how does it work? Generally speaking any motorcycle gear that contains kevlar is referring to a lining that sits underneath the outer shell, which could be some denim jeans, a fleece hoodie, or a soft shell jacket. The lining is what prevents your skin from seeing the road, not the outer material as these are standard clothing materials and will tear and burst in a slide. Kevlar & Aramid linings come in two different styles - Part lined and Fully lined, with the part lined clothing featuring a layer of kevlar on the parts of the body that are most likely to sustain some damage in a crash or slide e.g. the back, elbows, and shoulders in the torso section and the knees, hips, and bottom of trousers. It all depends on what you want from your Kevlar hoodie, are you looking for something to replace your leather jacket for warmer summer rides or are you just in need of something to pull over the top of your armour or leather jacket? When it comes to selecting the size for any motorcycle clothing, it’s important stuff because going too small can mean some areas of your body may be exposed in a crash but buying too large can lead to clothing moving in an impact or slide. Both things we don’t want to happen. The first thing to consider is what size your normal motorcycle jacket is, then work from there. 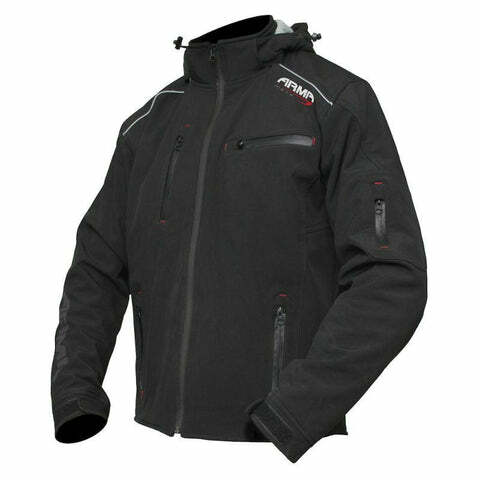 Usually Kevlar hoodies and aramid jackets will be slightly thinner and less bulky than normal textile and leathers so going for your normal size might leave a bit too much space between your body and the protection. In that case we recommend buying a size smaller than your usual size if your current jacket feels slightly loose at the moment. If you are just after some protection from road rash to pull over some under amour or jacket then always go for a size up to avoid restricting your movement and putting internal pressure on seams that will make them less effective in an impact. Are Kevlar Hoodies safe on a motorbike? Obviously we wouldn’t be the #1 UK retailer of Kevlar and Aramid clothing if they weren’t a safe option for riding motorbikes. And because we see more and more bikers turning to casual ways of dressing on their motorbike we are always on the look out for the next best Kevlar clothing, so you can be sure that our range of casual motorbike gear is up to the job of keeping you safe out on the road. Kevlar and Aramid are man made fibres that were designed for durability and optimum abrasion resistance which basically means they can take a beating whether that’s from sanding paper or the tarmac. This makes them perfect for use in motorbike clothing because they’re thinner and lighter than leather and textile alternatives, meaning you can add the material beneath the layers of nearly any normal design of clothing to make it skid and scuff resistant. As you can tell we’re really passionate about providing other options than the old textile or leather jackets for bikers so if you have any questions feel free to call or email us and we’ll be happy to help you get the right bit of kit for your riding style. As bikers who love having the option of wearing casual gear when we ride, we pride ourselves on stocking some of the best looking kevlar, aramid motorcycle clothing. Our range includes casual gear and hoodies from some of the major UK biker brands, alongside our very own up-and-coming brand LDM which is designed in house by real UK based bikers. Our LDM Street-R Kevlar Hoodie is our best seller and quickly becoming a best seller across the UK thanks to it’s street style, thick abrasion liner, zipped pockets, and CE protection included all for a great price of £84.99. Moving up the price ranges we have a retro styled bomber jacket from ARMR, and at the top end, a fully packed Kevlar hoody from the bikers who brought us the first real motorcycle protective jeans. Draggin jeans. Using our brand specific sizing charts and measurements you can easily find the right size jacket to fit your body shape. But it is useful to remember that when buying casual motorcycle clothing you should consider that when leaning over and riding the jacket will move so it’s important that you get the right size so that while moving it doesn’t expose any of your skin and risk injury in case of a crash. Once you’ve decided on your new hoody or jacket just hit Add To Basket and follow our simple checkout to make your order. Don’t want to receive even more emails in your inbox? Don’t worry, you can use just your mobile number to order at LD Motorcycles and we will keep you updated on your order process via text messages.